An easily modifiable base design styled after a popular brand design. You can use this template to create anything you want. 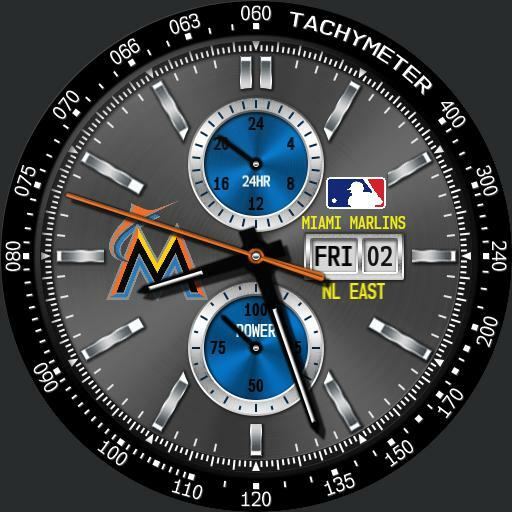 The Miami Marlins watch is Based on one of Sean Grondins modular race watches. Tap the center to experience 3 levels of zoom. Tap the top of the bezel to rotate it to the minute hand and back.